Russia's President Vladimir Putin marks the fifth anniversary of Moscow's annexation of Crimea from Ukraine with a visit to the Black Sea peninsula on Monday. Putin attended the launch of new power plants in Crimea, part of Moscow's efforts to upgrade the region's infrastructure. Ukrainecut off energy supplies to the peninsula and blocked shipments of Crimea-bound cargo via its territory after Moscow annexed the region in 2014. "The situation has changed radically," Putin said, adding that the new power facilities will fully cover Crimea's needs. Russia has also built a 19-kilometre bridge which opened last year across the Kerch Strait in a $3.6bn project that gave Crimea a land link to Russia, replacing a sometimes unreliable ferry service. Putin signed a treaty with representatives from Crimea on March 18, 2014, to make it part of Russia after a military intervention and controversial referendum. Kiev and many of its allies condemned the annexation as a violation of Ukraine's sovereignty. NATO and the European Union once again strongly condemned the land grab on the anniversary. Up to 10,000 people are expected to take part in a flash mob in the Moscow region on Monday, dancing to the Soviet-era song "Waltz of Sevastopol" - the Crimean city home to Russia's Black Sea fleet. Hundreds are expected to participate in another flash mob recreating the Russian flag in the Crimean seaside resort, Yalta. 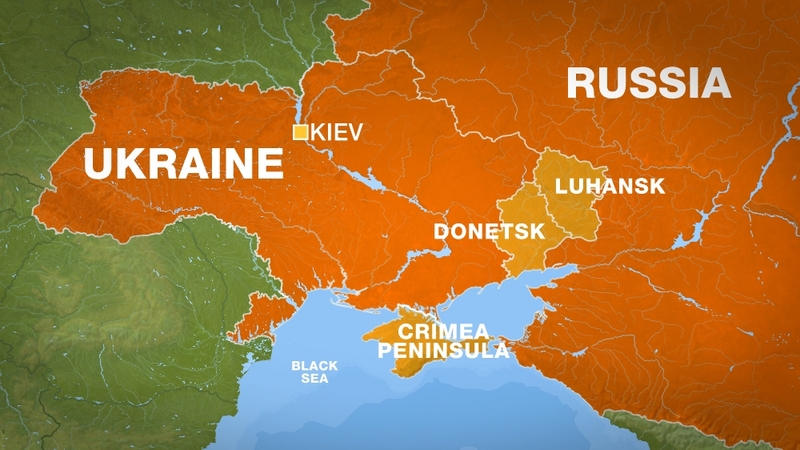 The annexation of Crimea was followed by a seizure of parts of Ukraine's Luhansk and Donetsk regions by Moscow-backed rebels. The war that erupted in the east of the country has killed more than 13,000 people. Last week, the United States, Canada and the EU slapped new sanctions on more than a dozen Russian officials and businesses in response to Moscow's "continued aggression in Ukraine". NATO allies said of the annexation in a statement Monday that "we strongly condemn this act, which we do not and will not recognize." Ukraine's Foreign Minister Pavlo Klimkin told the AFP news agency that "all these five years there has been an atmosphere of both open and hidden terror against the people of Crimea". Russia has banned the Mejlis, the Crimean Tatars' elected assembly which resisted Russian rule, denouncing it as "extremist". Ukraine "feels pain for this every day" and "the international community will never recognise" the annexation, he said.